Malin Klingenberg’s young adult novel Elk Girl has been sold to dtv in Germany. The novel will be published in Reihe Hanser. Elk Girl is a story of Johanna who is starting the seventh grade. But things aren’t as they were just a few weeks earlier: Johanna’s best friend Sandra is now hanging out with the coolest girls in the class. Johanna doesn’t mind. She is happy with herself as she is and has no need to change her interests to those that would better suit a teenager, like clothes and boys. She wants to be in the forest and watch the wildlife, as she used to do with Sandra. Malin Klingenberg, previously known for her hilarious and quirky middle-grade series The Senior Squad, writes in the Elk Girl a story about becoming a teenager in the throe of changes – and of taming an elk. Two titles that are represented by Helsinki Literary Agency have been nominated for Runeberg Junior Prize. The prize is often considered the most important literary prize in Finland after the Finlandia Prize, and it is given out in two categories: Junior and Fiction. This year the HLA candidates are Eva Frantz with Raspberry Hill and Sanna Mander and Anna Sarve with The Princess Book. Raspberry Hill is a sanatorium in the middle of the healing countryside, and it is where city dwellers with lung diseases end up. One of them is Stina, to whom the sanatorium feels like a castle: it is vast and a very lonely place. But then Ruben turns up, taking Stina along to his nightly expeditions in forbidden places of the building – like the eastern wing that has recently burned down. Little by little Stina starts to realize that everything is not quite right in the sanatorium. Why isn’t her mother writing back to her? Why do the nurses seem so afraid? What really happened in the fire? And what is Ruben trying to warn her about? Raspberry Hill starts a series of stand-alone horror novels set in early 20th century that take the young readers also on a journey back in time. The winner of Finlandia Junior Prize of 2017, Sanna Mander conquers the world of princesses with Anna Sarve in the wonderful Princess Book. There are princesses everywhere – in the pages of story books but also in real life. Not all of them have crowns and not all of them have palaces; some princesses have silks and jewels, some bare feet and darned blouses. The Princess Book is full of charming stories, strange facts and wild rumours about the world’s loveliest princesses (and a couple of really awful ones). Enchantingly illustrated, The Princess Book offers a fastpaced and graphic account of what makes princesses of Snow White, Leia and Cleopatra, Duchess, Catherine the Great, Rapunzel and many other heroines of fact and fantasy. 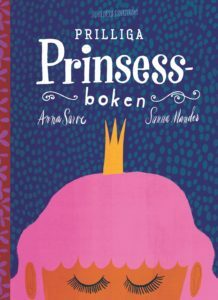 The Princess Book includes loads of humorous facts but also four beautiful, smart and strange fairytales by Anna Sarve, Malin Klingenberg, Kasper Strömman and Peppe Öhman. Both of last years Runeberg Prize winners are represented by Helsinki Literary Agency: Marjo Niemi’s novel The Mother of All Losses (Teos, 2017) and Karin Erlandsson’s children’s novel Pearl Fisher (Schildts & Söderströms, 2017). 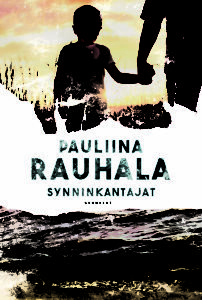 Pauliina Rauhala’s HARVEST, praised for its beautifully narrated story of an introverted community and rich language, has been nominated for Finland’s most important literary prize. Harvest is a novel about spiritual control, about longing for a connection to other people and about all nuances of love. It tells a story of a religious community in the late 1970s where the demand of pure faith starts tearing people and families apart. Aaron, a ten-year-old boy, gets in the middle of the tearing events that even the adults have a hard time understanding when his great grandfather Taisto and his grandmother end up on the different sides of the religious dispute. What is true faith, who are the true believers and what kinds of shadows cast the people who are trying to help? Rauhala describes the introverted community in all its complexity, and all its members with love – despite their faults and flaws. The novel, described as a strong work of fiction built on factual basis, has been praised for its visionary and precise way of building the themes of faith and truth but also for its light description of the small everyday tasks and ordinary things that give life much of its beauty. 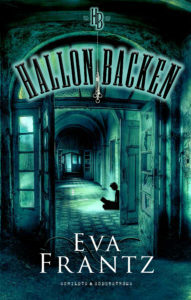 The novel rose to #3 on the Finnish bestseller list when it came out, continuing the immense success of Rauhala’s debut novel Heavensong that has sold almost 70,000 copies in Finland so far. In addition to the Finlandia Prize nomination Harvest is also nominated for the Botnia Prize and the Christian Book of the Year award. 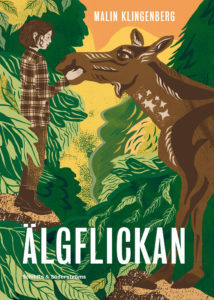 Harvest was published in 2018 in Finnish (Synninkantajat) by Gummerus. More about the book here. Finlandia Prize is the biggest literary prize in Finland, given out to the best book of the year in three categories: fiction, nonfiction and children’s and young adult books. The prize in each categories is 30,000 euros. The winners will be announced on November 28th. Helsinki Literary Agency represents also one of the nominees for the Finlandia Junior Prize, Maija and Antti Hurme’s Shadowed (Schildts & Söderströms, 2018). Maija and Anssi Hurme’s illustrated children’s book SHADOWED, described as “brilliant illustrated narrative” that hits “the artistic bull’s eye”, has been nominated for Finland’s most important literary prize. 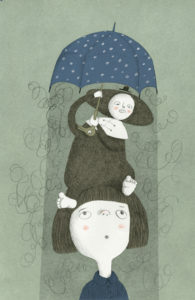 Shadowed is a mysterious story about a child, a father and a great longing. One morning, there is an unfamiliar character in the child’s room. No one else can see it, but it follows the child everywhere. It makes eating breakfast or playing with friends difficult. It asks for the scariest bedtime story. And it seems to have something to do with the mother being gone. The story, subtly illustrated, does not name the shadow – it could be sadness, worry or longing. Bit by bit, its slightly scary presence turns friendlier and finally it loosens its grip. 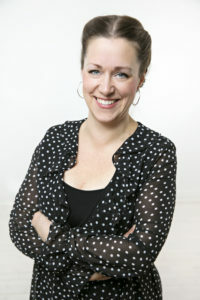 Maija Hurme (b. 1976) is a visual editor and graphic designer in the daily broadsheet Hufvudstadsbladet. 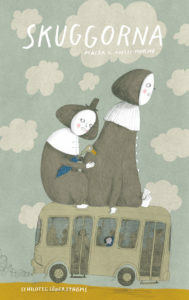 She has illustrated several children’s books, three of them together with Anssi Hurme (b. 1976), who is also a graphic designer who runs a design business. Shadowed was published in 2018 both in Swedish (original) by Schildts & Söderströms and in Finnish (original) by Kustantamo S&S.